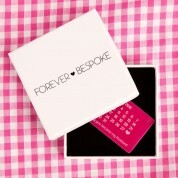 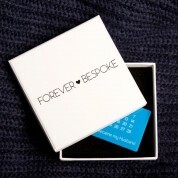 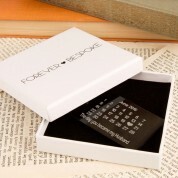 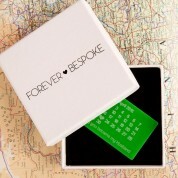 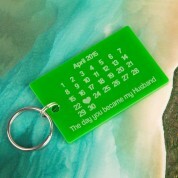 Surprise your Husband on your wedding day or anniversary with this quirky memento of your special day. 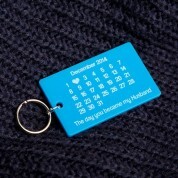 The keyring features a calendar design, complete with a love heart over your wedding date. 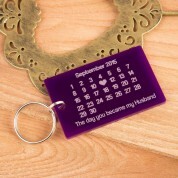 The text along the bottom reads “The day you became my Husband”, and there is space for a message from yourself on the back. 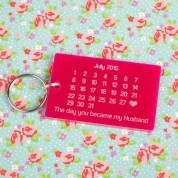 It is available in six different colours of acrylic – perfect for choosing his favourite! 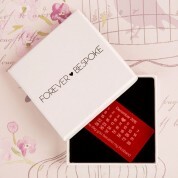 A standard 28/29/30/31 day month is used in the design, and days of the week are not specified. 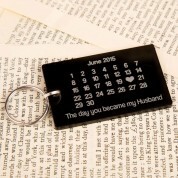 It is a wonderful keepsake gift for him, and he will love the little reminder of his wife.